China, August 29th, 2018 – The Ninth China International Medical Device Regulatory Forum will be held in Fuzhou Strait International Conference & Exhibition Center from Sep 13th to 16th, 2018. 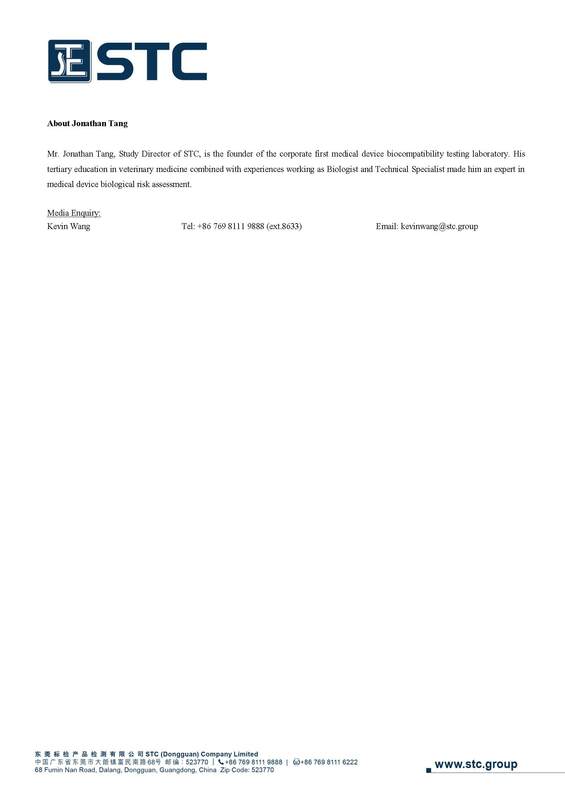 Mr. Jonathan Tang, the Director of STC Medical Device Testing and Development, who was invited to attend the forum for the second time, will share his comments on biological evaluation of medical device. 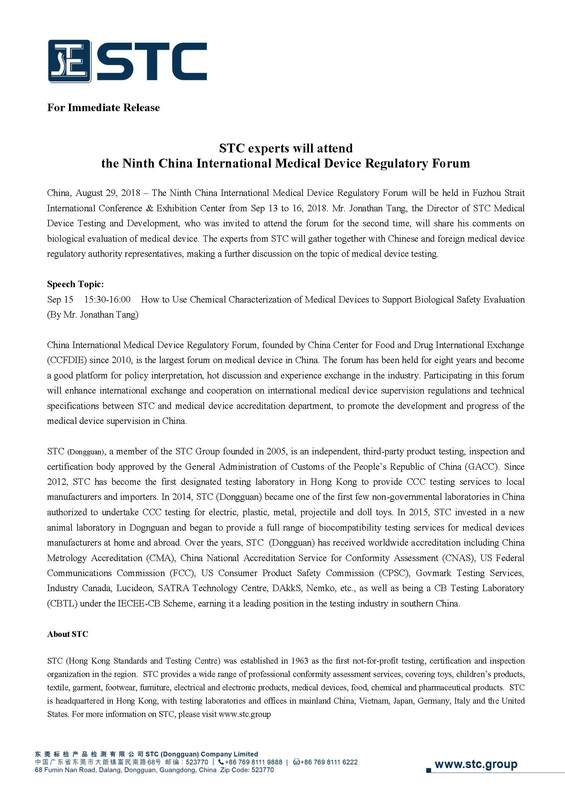 The experts from STC will gather together with Chinese and foreign medical device regulatory authority representatives, making a further discussion on the topic of medical device testing. China International Medical Device Regulatory Forum, founded by China Center for Food and Drug International Exchange (CCFDIE) since 2010, is the largest forum on medical device in China. The forum has been held for eight years and become a good platform for policy interpretation, hot discussion and experience exchange in the industry. 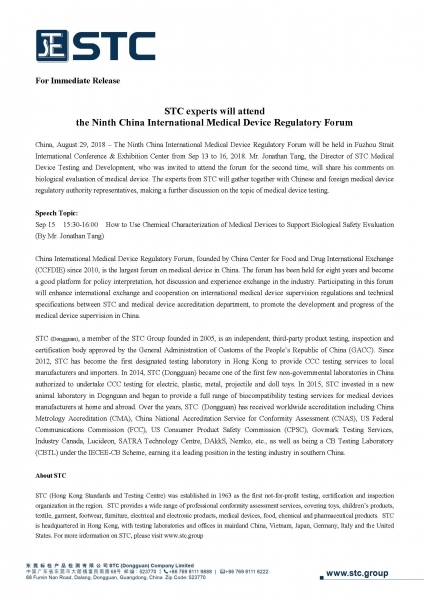 Participating in this forum will enhance international exchange and cooperation on international medical device supervision regulations and technical specifications between STC and medical device accreditation department, to promote the development and progress of the medical device supervision in China. 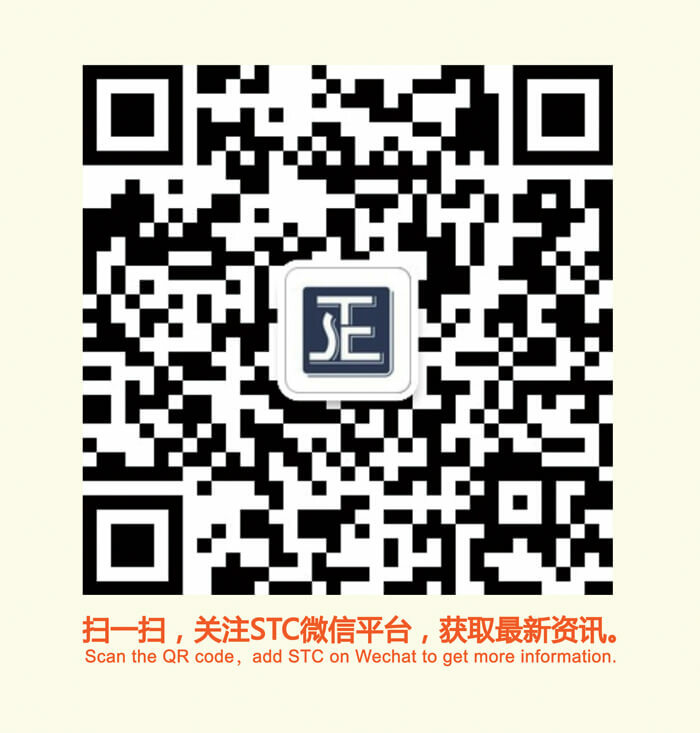 STC (Dongguan), a member of the STC Group founded in 2005, is an independent, third-party product testing, inspection and certification body approved by the General Administration of Customs of the People’s Republic of China (GACC). Since 2012, STC has become the first designated testing laboratory in Hong Kong to provide CCC testing services to local manufacturers and importers. In 2014, STC (Dongguan) became one of the first few non-governmental laboratories in China authorized to undertake CCC testing for electric, plastic, metal, projectile and doll toys. In 2015, STC invested in a new animal laboratory in Dognguan and began to provide a full range of biocompatibility testing services for medical devices manufacturers at home and abroad. Over the years, STC (Dongguan) has received worldwide accreditation including China Metrology Accreditation (CMA), China National Accreditation Service for Conformity Assessment (CNAS), US Federal Communications Commission (FCC), US Consumer Product Safety Commission (CPSC), Govmark Testing Services, Industry Canada, Lucideon, SATRA Technology Centre, DAkkS, Nemko, etc., as well as being a CB Testing Laboratory (CBTL) under the IECEE-CB Scheme, earning it a leading position in the testing industry in southern China. Mr. Jonathan Tang, Study Director of STC, is the founder of the corporate first medical device biocompatibility testing laboratory. His tertiary education in veterinary medicine combined with experiences working as Biologist and Technical Specialist made him an expert in medical device biological risk assessment.